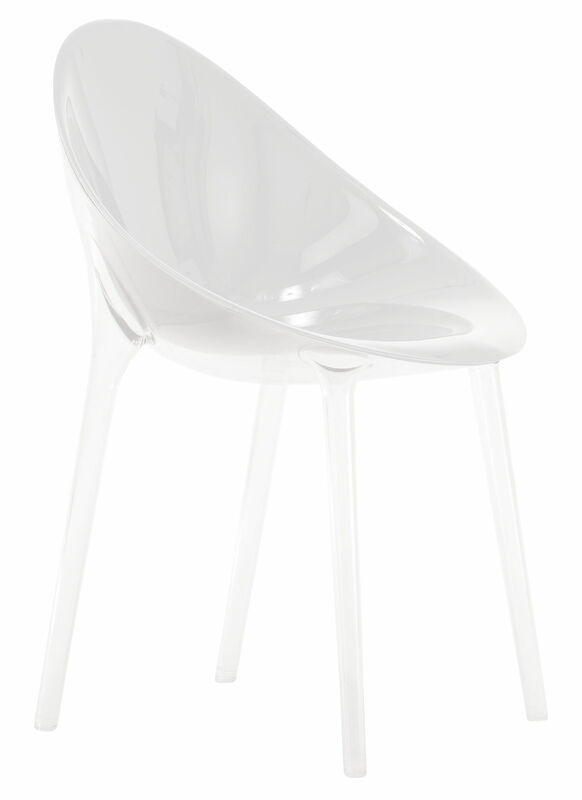 A most exciting new chair design by the king of chairs himself - Philippe Starck. 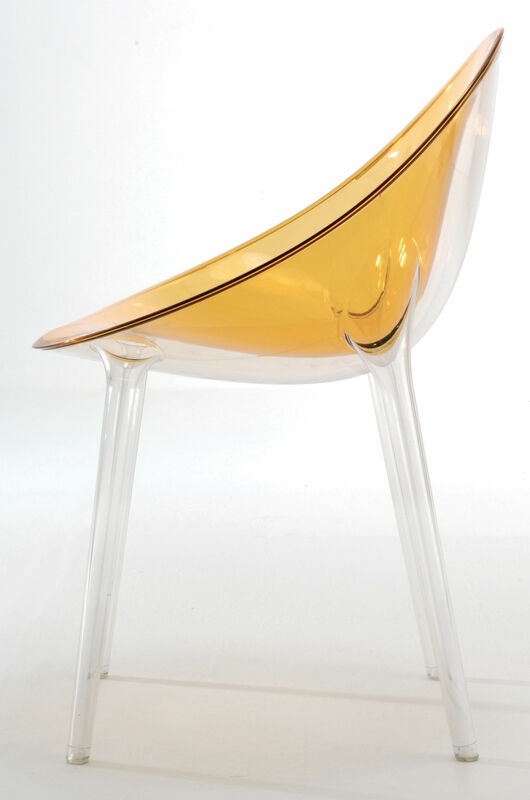 Pushing the boundaries of production - Mr Impossible - the chair they thought impossible to make has now become a reality, thanks to the technical innovation at Italian Plastic manufacturer Kartell, who have spent years developing and realizing the furniture fantasies of design guru Philippe Starck. 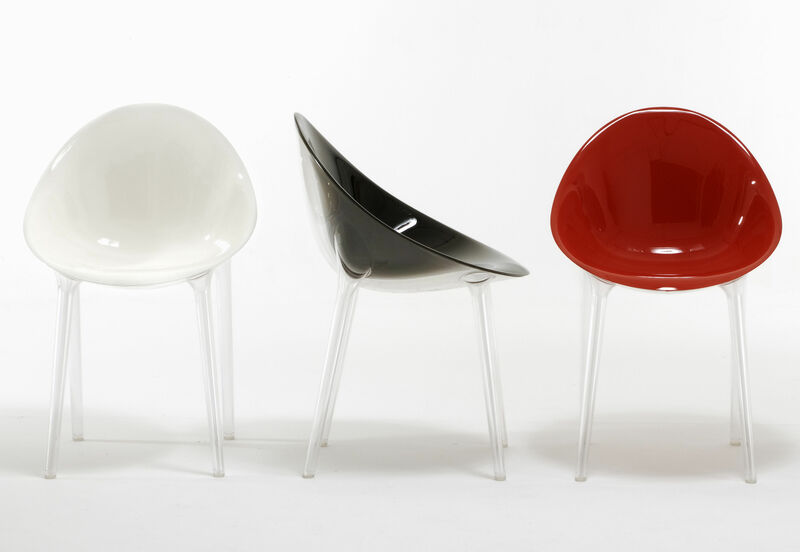 A highly sophisticated processing technique that welds together two polycarbonate shells - the transparent leg structure and the seat cup - creates a physically strong structure with a visually delicate and interesting, bi-colour, three dimensional effect.